As an institution, public universities are positioned to look forward to identify trends and potential growth opportunities while training the future workforce. These long range estimates must then be translated to budget cycles that hopefully allow programs to build incrementally on the current & foreseen needs of the state. Often these needs require not only an investment from outside the university but a willingness by the institution to re-shape itself to become more flexible and reflect the future realities rather than the status quo. 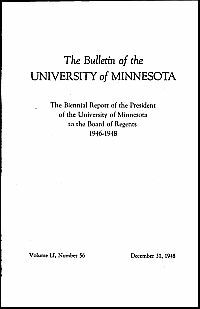 1970 is certainly a year in the history of health sciences education at the University of Minnesota that represents a pivot in not only the needs of the workforce but in the structure of the educational delivery system. 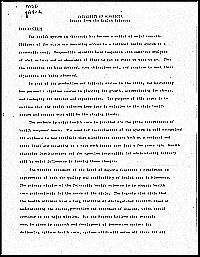 Summarizing these changes, a 1971 report to the Minnesota Higher Education Coordinating Commission the health sciences leadership acknowledged the demands of the citizens for “access to a rational health system at a reasonable cost” while noting that accommodating this change requires a “reshaping [of the University’s] mission and organization. 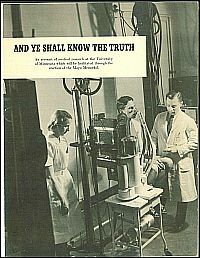 The result was the formation of the Academic Health Center. Read the full report to the commission in the University Digital Conservancy.